WELCOME HOME! 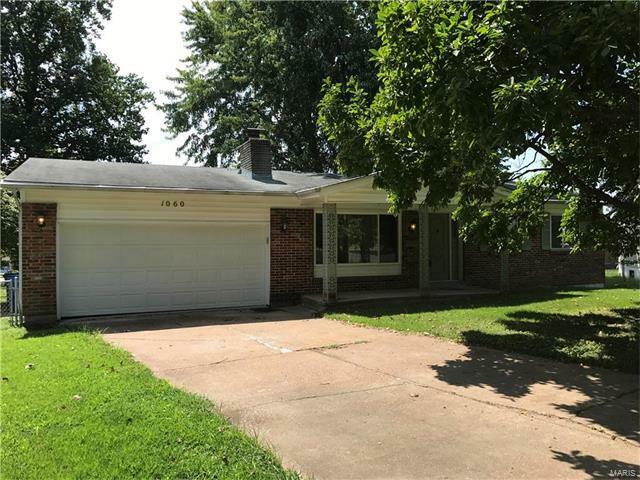 Cute 3 bedroom -2.5 bath RANCH has great curb appeal and so many updates!! Large eat-in kitchen with newer appliances and lots of counter space/breakfast bar. LG Side by Side refrigerator,high efficiency LG washer and dryer and TV in lower level is included in sale!! Brand new carpet (original hard wood floors under carpet)freshly painted.Gas log fireplace in living room.Updated electric panel. Lower level has wonderful finished Recreation/TV area with an extra FULL bath!You will love the large level fenced yard and over-sized 2 car garage. Easy walking distance to Lusher Elementary and Northwest Middle. Hurry, this home is move in ready!! Howdershell turns into Shackelford left on Mullanphy left on Randell.